Have you been injured because of a traffic accident, slip and fall, someone else’s negligence or reckless behavior? Has a member of your family been injured or worse because of unsafe driver? If you answered yes to either of these questions then Denver personal injury lawyer James Ruterbories will be able to help assist you to get the compensation you deserve for your injuries, medical costs and suffering. Mr. Ruterbories is experienced at handling personal injury cases stemming from motor vehicle accidents, defective products, premises liability, and medical malpractice. Our Denver personal injury lawyer represents clients throughout the state of Colorado with an unparalleled compassion. 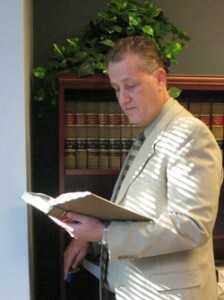 When you consult with Mr. Ruterbories, you will find that he is committed to justice and to helping you. If you have been damaged by your tenant, landlord or maybe facing an eviction, James Ruterbories will be able to help assist you with the legal services you need related to landlord tenant law. Mr. Ruterbories is also well experienced in the areas of Collections Assistance, Juvenile Law and Dependency and Neglect matters, Real Estate Law, Construction Law Services and Traffic Law. There are many different types of cases that can go to court and James Ruterbories P.C. is capable of providing you with the legal assistance you need for many of these situations. Mr. Ruterbories provides his clients with a free initial consultation to help figure out exactly what your needs are and if he will be able to assist. The free initial consultation also provides you with the ability to decide the best course of action towards dealing with your legal issues. 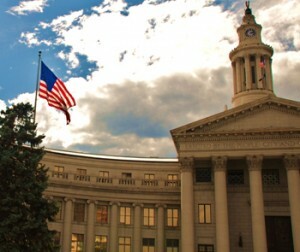 Contact us when you are in need of any type of legal assistance in the Denver, Colorado, area.